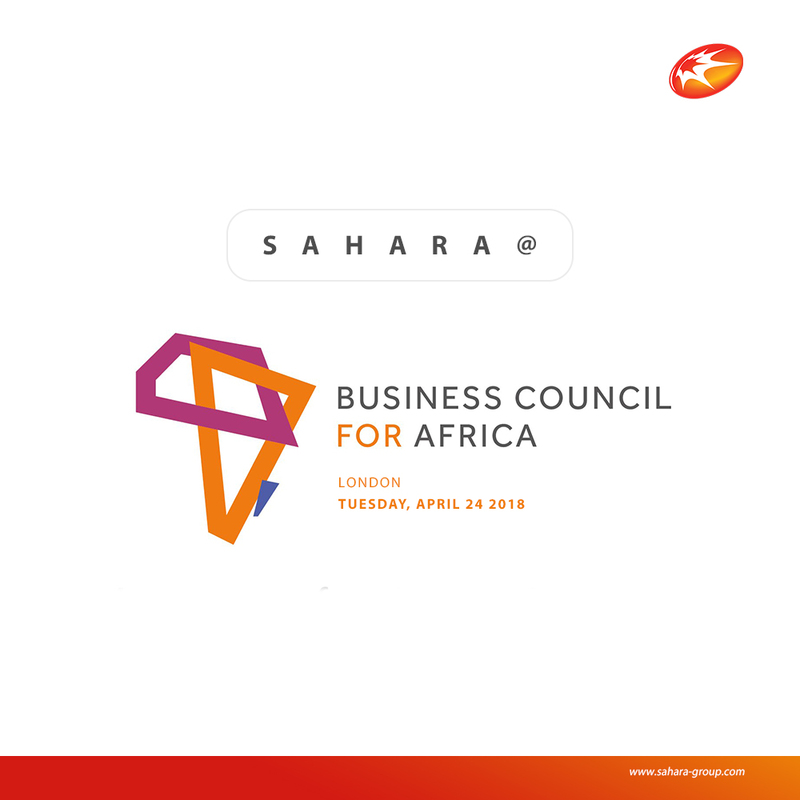 Sahara Group Co-founder and Executive Director, Tonye Cole will join high-level African policy-makers, industry leaders and global businesses operating on the continent at the Business Council for Africa (BCA) Annual Debate this Tuesday, April 24. 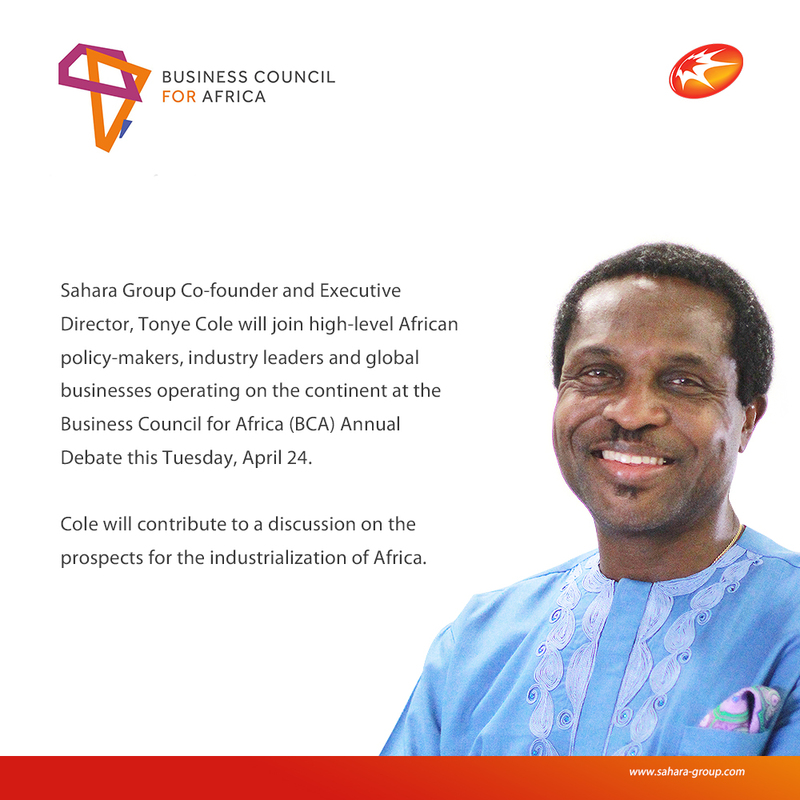 Cole, 51 will contribute to a discussion on the prospects for the industrialization of Africa. Can Africa ride the wave of the 4th industrial revolution or will its systems and institutions betray it and scupper its chances as has occurred in the past? Prior to 2015, when the continental economy benefited immensely from high commodity prices and a commensurate access to fast money, the importance of industrialization in Africa was downgraded when in fact efforts to transform the continent through industrialization and digitization should have been doubled down as a result of unprecedented levels of financial buoyancy at the time. A number of thought leaders and think tanks agree that closer integration across the whole of Africa is needed to aggressively drive diversification through industrialization so that a continent with the fastest growing youth population in the world does not find itself vulnerable to the vicissitudes of systemic boom and bust cycles. Amongst the more startling facts about the poor state of industrialization in Africa is that manufacturing provides a paltry 6% of all jobs on the continent. This figure remained unchanged in almost thirty years leading up to 2008. Comparatively, manufacturing jobs grew from 11% to 16% over the same period in South East Asia. According to the United Nations Economic Commission for Africa (UNECA) Africa’s growth in 2016, declined to 1.7% (lowest in ten years) from 3.7% in 2015. It is telling that Africa’s contribution to the world manufacturing export basket is less than 1pct and has been in decline since 2010. Cole also highlighted some opportunities and positive changes already occurring on the continent. Citing the UNECA 2017 report on Industrialization and Urbanization for transforming Africa’s Future, he stressed the continued need for gender inclusion and equality. The report highlights the fact that women in Africa are not only entering the labour force in much greater numbers, they are remaining in the labour force throughout their childbearing and child-rearing years. This trend augurs well for the future of the manufacturing sector in Africa as the female workforce is positioned to increase overall productivity now more than ever before. Next: How do You Solve a Problem like Malaria?